That a political agenda lies behind the GMOA trade union actions is now beyond doubt. We had suspected this all along through the line of serial lightning strikes carried out by the doctors ever since the yahapaalanaya government had been installed. In normal politco-polemical game -play, if you are opposed to my views I can call you a traitor. In the context we refer to, the ‘traitor’ impliedly and allegedly carries out or espouses a stance that is deemed detrimental to the country. This is clearly and unashamedly a political statement of serious proportions made by the President of the GMOA which is purportedly a civil trade union established to protect and foster the trade union rights of its members. Policy development with regard to the economic direction of Sri Lanka is the responsibility and task of the government of Sri Lanka and the Parliament of lawmakers. This is how democracy can work anywhere. Political parties present policies to the electorate and electors ( the people) vote for their preferred political party and bloc. On this basis, Presidents and Parliaments and governments get elected under a democracy. Even after elections, good governments always consider the views of other stakeholders outside the political spectrum during the process of policy work-in-progress. This is because a government and parliament must incessantly be in tune with the people. However, after the obligation to consult is implemented, governments have to be left to make the final decision. No democracy can function and no society can sustain in any other way. In the GMOA we have a body that is supposedly a trade union but which has increasingly outstepped its legitimate mark and is becoming threatening to any popularly elected government. The source of their power is the indispensability of doctors to the existential life of the people. This indispensability is something non- substitutable at least in the short run. Doctors, unlike bus strikers, work on the life and death process line of human beings. This objective locale of their role has endowed their profession with a responsibility that stands transcendently above other workers. Simultaneously, doctors derive their specially respected social status from that. If doctors decide to transgress their trade union legitimacy and to rival the power of the government a political struggle would ensue between doctors and non-doctors and the large question of who rules pops up. This has to be seriously taken note of. Right now the leadership of the GMOA is perceived as being behind the former political regime. It is easy for politicians of that regime to be content with this state of affairs. On the other hand, the power of indispensability can sooner or later strike the former regime players if they get to power. Thus the threat of GMOA political power is something to be viewed with apprehension by all political leaders whether in government or in opposition. It is something not acceptable by civilised society and hence everyone must take note of this unusual development in Sri Lanka.The relevance of a peoples’ verdict is brought into question. This is where bipartisan support is required to save democracy for everyone-now ruling or later -to rule. The imbalance of power in our society that doctors have created is a veritable threat to democratic politics. In other words, a new form of governance is emerging in Sri Lanka, which is also a first in world history. This is medicocracy or government by consent of the medicos. Under this system, doctors don’t directly govern but they restrict the options of the popularly elected government and can potentially come down on the government on any public policy issue. It is a form of governance where peoples’ sovereignty is restricted by a privileged section of society. The sovereignty is rather similar to that prevailing in a feudal order of society. Have you heard of this political development anywhere else? I wish the GMOA did transcend like this when the former government was suspected of numerous murders and disappearances of dissentients. The GMOA has already put its fingers on the wide macro-economic issue of government’s policy of forming international trade agreements. It has openly come on media and protested and struck work on this issue. The recent strike also embedded this protest. Now, whether or not and how our country must draw up international agreements isn’t a job for the GMOA-especially when the government had assured there would be no clauses that would affect their members. Government must take the step after a serious reflection of the benefits or otherwise such an agreement can have on the country’s economy. GMOA had no business putting its neck out on this. Yet, that organisation keeps making all sorts of economic analysis on the issue; medical men cannot lay claim to a knowledge of practical global economics. Their current demands also include a number or proposals for salary increases. They include: demands for a monthly transport allowance of Rs. 100,000, a monthly allowance of Rs. 30,000 each for all medical administrators. There are about 20,000 doctors in the service. One can see what a formidable budget commitment that would all be. There is also a demand that that children of GMOA members be guaranteed entrance to top level national schools. These proposals if allowed could lead to vast demands and tensions across other sectors of society that would create a myriad of endless ramifications. From this impact -view even seemingly legitimate proposals would be deemed to have a political dimension as they stem from a consciousness of power and a will to exercise such power on the part of the medical fraternity. Government has now set up a salaries commission to revise salaries across the board for all sectors fairly and according to affordability. This is good. On the other hand, if the GMOA presses further on this path using its indispensability- power to try and bring the government to its knees then it clearly plays a political role. In this way, otherwise legitimate demands of a union can border on politics. Besides, one has to view all the above demands through the prism of the GMOA rhetoric. The rhetoric is threatening and unashamedly political. 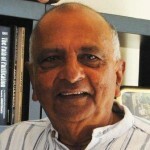 Dr Anuruddha Padeniya’s threat to list traitors [to the nation] is political. He will have a hard time defining who a traitor to the nation is, in the first place. That issue is, however beside the point. In the recent railway strike one witnessed signs of the incoming power struggle that we referred to above. Commuters arrived in hordes after work and, provoked by the lightening strike, began beating the strikers. That was clearly a spontaneous act according to all reports. Commuters arrived after a hard day’s work to get back to their homes but found to their dismay that trains weren’t going to work.GMOA and other trade unions must realize one thing and that is that they they are an integral part of the wider society to which they are obligated. Citizens are in an implied social contract.They can do what they do so far as they are loyal to those societal obligations and so far as the patience of the civilian population are not exceeded by what is perceived as a blatant breach of social contract. Doctors have a duty to protect the people and integrityof the medical profession. They should not misuse the power that was granted by the public to do money business and the benefits they enjoy in Srilanka is much better than in any other developed nations. They should not involve in politics. It appears that Mahinda regime have bought some top level GMOA officials as they bought politicians. IF GMOA goes beyond limit the govt should ban the private practice of those doctor who earn millions in practice. Lot of them spend even the duty times in private practice is very obvious. As a physician I cannot even imagine the plight of poor patients supposedly taken care by these Mafia Men. It is time for the public to have the final say. My dear friends not the pambaya government but the pambaya public would teach the GMOA doctor thugs good lessons. Proof of the pudding was the railway strike. It was between few thousand strikers and over 22 millions people of the country. Next time around let GMOA call out the thug doctors for strike, and let’s see what’s going to happen. People are extreme fed up and at their last tether as far as all these strikes are concerned, not the miserable and down rodents are doing these rotten things but the well educated and well to do ones are at it, it’s abundantly clear, they are on different agendas. So let’s see how GMOA thug doctors going to launch their next strike action and how the poor forks going to it take up. One could compare many of GMOA doctors actions to like the donkey went to do dogs work instead of minding it’s business. Lol! a bunch of people got angry at the strike, that all. it didn’t in the least bit affect the strike. its comical how a bunch of who probably never boarded anything less than 1st class cabin prattle on about what the people want. the bottom line is that the govt can’t deal with trade unions. putting blame on MR is a comedy of another level. pambapalanaya! The doctors, nurses, allied medical staff, bus, airline and train workers, police and law enforcement and all other governmental work forces should be all brought under essential services. We need a strong government. A strong government that will not hesitate to terminate the employment of these people for disabling the day to day life of the 22 million population. I am not a fan of the Yahapalanaya government or Mangala Samaraweera. But, on this occasion, Mangala is right. I speak on behalf of the Country and its poeple. No negotiating should be done with strikers. If they strike, all employment should be terminated immediately. If the government is clear and decisive in its stance, 90% of the staff will not strike. The people of this country do not need the other 10%. 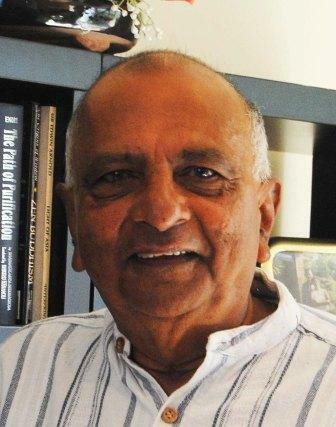 Mangala S had been in politics for so many years, in and out of governments and oppositions. Depends on whether he is in the government or the opposition. 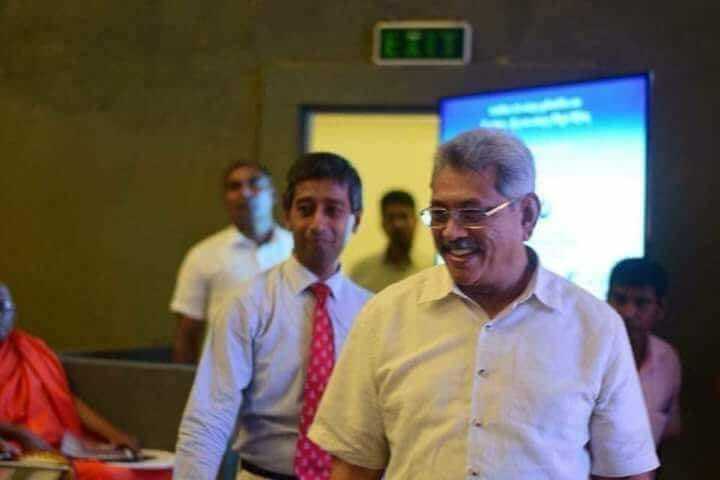 This homo sapien once carried out a full campaign with the theme that Ranil was the head of Batalanda torture chamber. Come on, did you mean homosexual or Homo sapien? With the same token of judgement what would you say about the public racist Dayan accepting the post of ambassador to Russia, the head of his government is Ranil? By the way I cannot remember the number of times Prof Pieris crossed over to ruling party and now he has started his own party the donkeys feel they are part of SLPP while being members of SLFP. Remember politically opportunistic behaviour of Douglas Devananda, Savumiamoorthy Thondaman, Rauff Hakeem, Somawansa, …………………… and 100 odd present day MPs were/are no different to Mangala Samaraweera. Why do you see Mangala as an unique political animal? First Shyamon may need to request his buddies in the govt to stop robbing the economy through exorbitant perks they themselves approve for THEIR benefit (including the Rs 640k chairs!). Shyamon’s buddies have openly violated the social contract they arrived with the voters in 2015. Do we have democracy that Shyamon talks about under this pathetically impotent majarapalanaya? Is it democracy to hoist a fake ‘unity’ govt to subvert peoples’ will? Is it democracy to get a servile speaker to subvert parliament and not allow peoples’ will to be represented in the opposition? Is it democracy to evade elections and prevent exercise of franchise by the people? What about the trade union leaders who directly got involved in 2015 regime change? Why can only a section of trade unionists do politics and others should not? As Shyamon accepts in this piece, if GMOA publicly oppose MR, he wouldn’t be writing this article…. While majarapalanaya is wasting foreign exchange on chairs, vehicles and other perks, a major crisis is brewing in Argentina, Turkey etc which could engulf the whole world. The country is totally unprepared……….. In the future, the educated Sri Lankans will only be those whose parents are doctors, engineers, lawyers or filthy rich etc, because of the way School System is changing to work here, just because of business competition among international and private schools, and among the government schools it is due to egoism and corruption. I heard just like SAITM, there are private university colleges for engineering too. Is there a dissatisfaction because of that. Are some people trying to destroy the university education and privatize the universities ? Even in the west universities are highly subsidized or they get SAHANADARA.